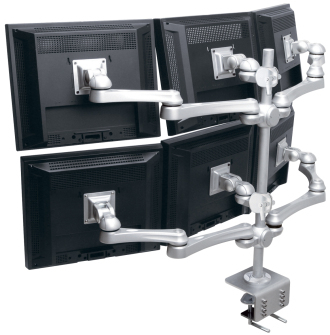 This hexa monitor arm LA-518-1, with triple monitor arms, is a practical an real system arm with a classic design. Which makes it ideal for mounting multiple monitors. For example in offices, trading floors and control rooms. 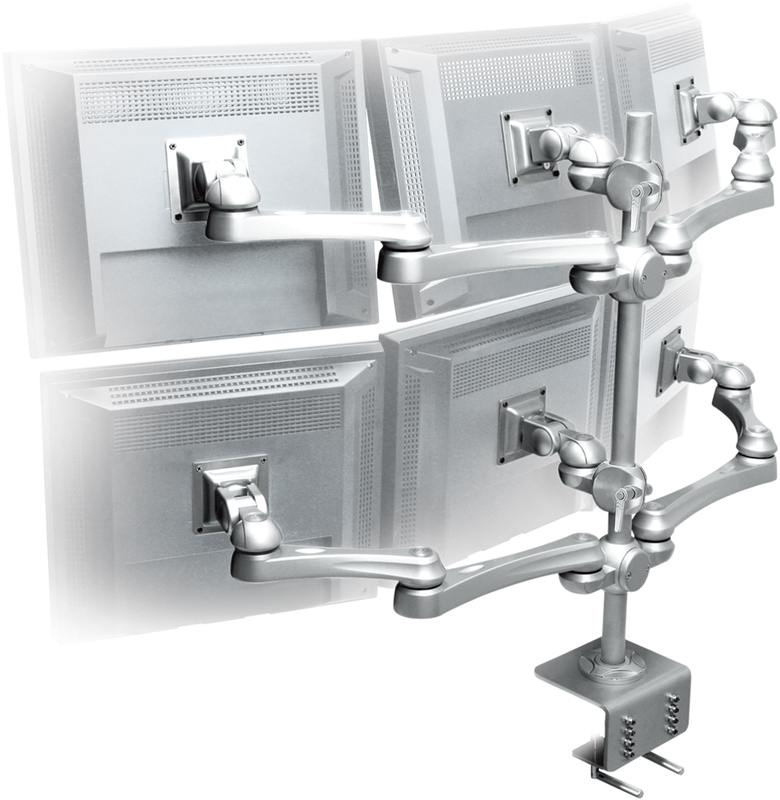 The monitor arm is easily adjustable to different heights to fit different environments and individual needs of users. A practical and space-saving solution that fits most desks and screens. Can be adjusted with one hand and is easy to install on the table top with desk clamp or a grommet mount. Easy adjustment for viewing comfort. Easy to mount on the desktop. Can be operated with one hand. Adjustable without tools. 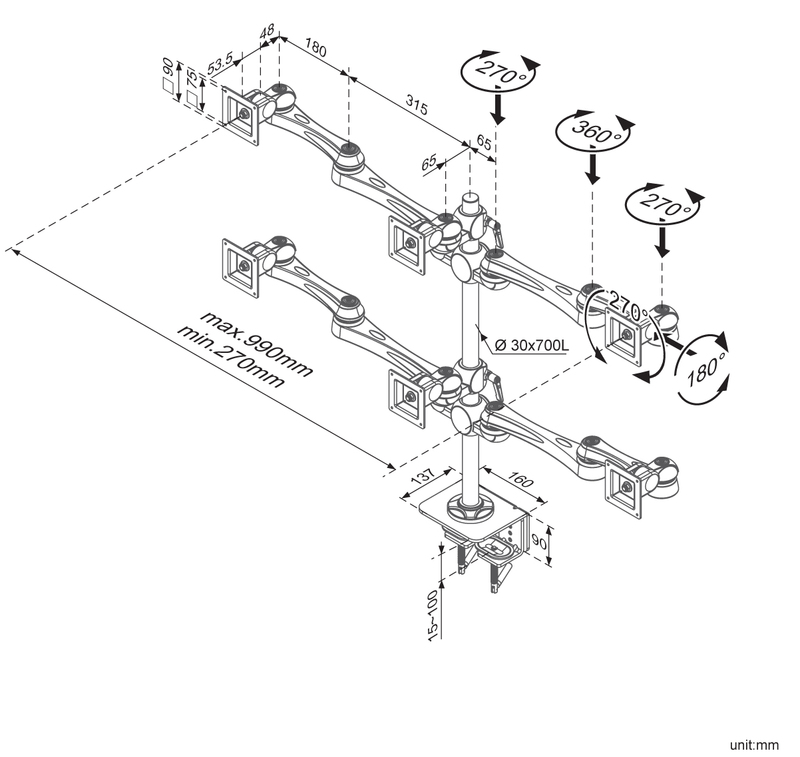 Screen mounts: Vesa standard 75 mm x 75 mm / 100 mm x 100 mm. This hexa monitor arm LA-518-1, with triple monitor arms, is a practical an real system arm with a classic design. Which makes it ideal for mounting multiple monitors.